A noisy sight if you see it yourself, a large group of Barnacle Geese lifting off. These were near Bridgend at Loch Indaal. 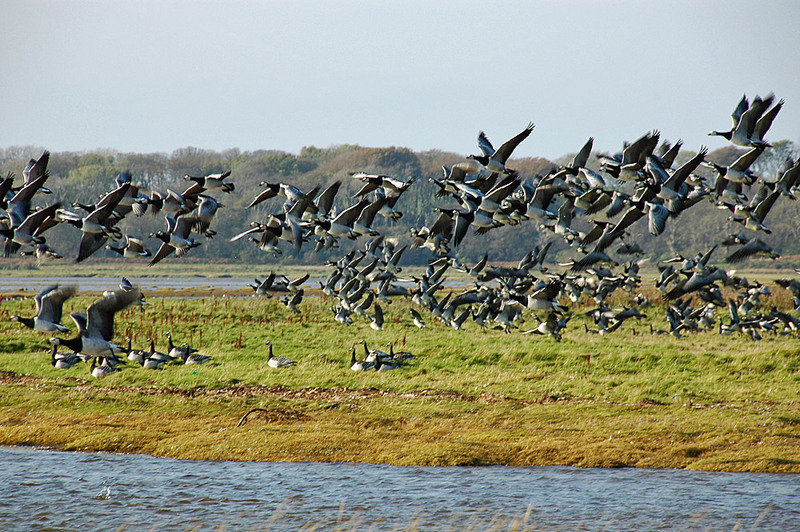 This entry was posted in Landscape, Repost, Sea Loch, Sunny Weather, Wildlife and tagged Barnacle Geese, Bridgend, Islay, Loch Indaal by Armin Grewe. Bookmark the permalink.